"Here to assist in the HEALTHY Development of our young girls"
Revelation from the Peanuts Movie? Why the title Abundantly Authentic? I have to say it one more time “the illustration was so cute”. I do sometimes judge a book by it’s cover, and with this one it got my attention at first sight. It was multicultural (she didn’t say this exact word, but this is what she meant) LOL…while she was reading it I noticed that she would stop to pause and look at the pictures ( you could tell she was mesmerized by it). The names of the characters, the clothes that they wore, how they celebrated Muhiima was interesting, and admiring. The way that the author has Muhiima going on a scavenger hunt type of journey with each stop being something of precious meaning to her and her family. Overall I think that the book a is great book to read, as a parent will definitely entice conversation about culture, as a teacher I can get so many lesson ideas from Muhiima’s quest, I get so excited just thinking about it! 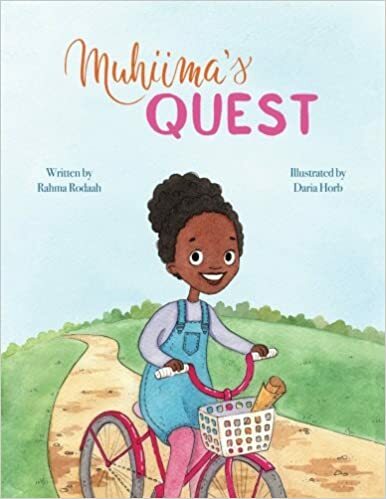 Thank you for taking the time to read Muhiima’s Quest book review. I believe that it is our responsibility to encourage a generation that is armed with the tools, knowledge, and strategies to thrive as individuals.